A well designed colourful quality mug on a desk with your details on is an excellent permanent reminder to your clients of what you can offer and how to contact you. 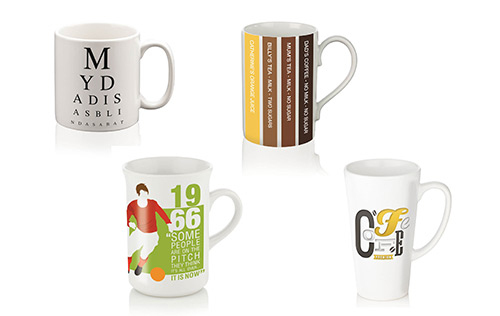 We offer mugs in various shapes and specs. FAST – We can design and print mugs in a few days.